Home / Workforce Development / Teachers Night Out back with a bang this Fall! Teachers Night Out back with a bang this Fall! 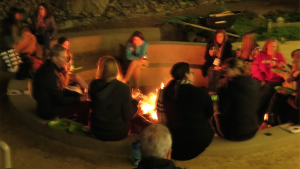 Looking across our fire-pit to a sea of eager teachers, I feel humbled that they’ve chosen to spend their free time here at the ENC and excited to learn from each and every one of them. On September 27th, about 25 educators from all over Orange County gathered at the ENC for our first Teacher’s Night Out of the year, and the ambiance was electric with inspiring ideas. We find that school teachers are usually excited and buzzing with energy in the fall and understandably worn out by the school year’s end. 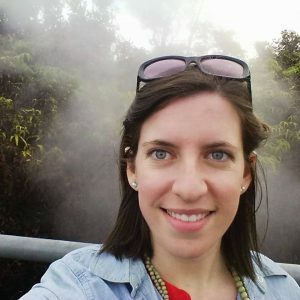 We understand – being a classroom teacher is hard work and can be very mentally, physically, and emotionally taxing. This is why we LOVE serving as a resource for those hard-working teachers! We have been providing these professional development workshops for a while now, but last year was the first year that we made it a monthly series – with a different theme and guest speaker each month. 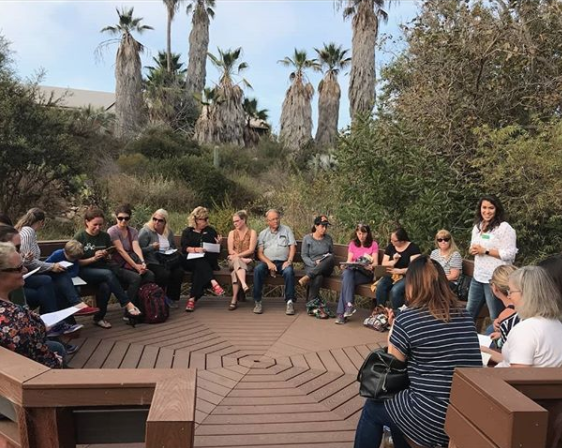 The goal is always to find innovative ways to connect educators of all kinds to nature and inspire them to bring more nature into their classroom curriculum. This year we are ramping up our efforts to reach an even wider audience – hoping we can get 30 or 40 people here each month. We find that the more educators we have in attendance, the more these educators can collaborate with each other and take away some creative ideas. But we know it’s hard to get away for 3 hours on a Thursday night. We all have families and dogs and gym memberships and emails beckoning us back home. That’s we why try to sweeten the deal by getting local restaurants to donate food and wine for these events. 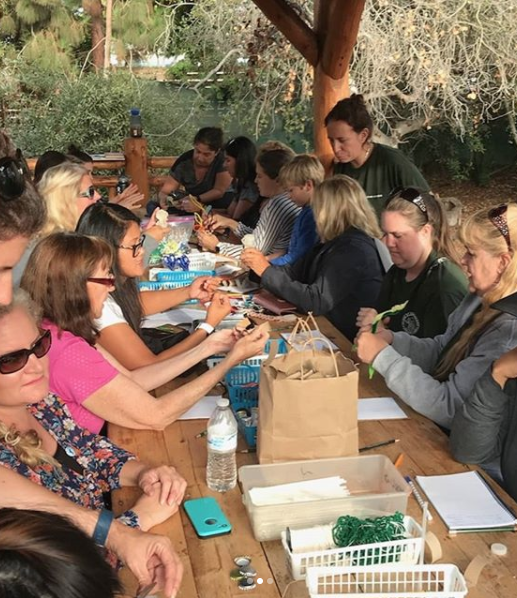 Every Teacher’s Night Out workshop ends with dinner, s’mores, and wine around a crackling fire, while our teachers debrief on what was just learned and exchange ideas with each other. Is there anything better? If there is, we haven’t found it. Teacher’s Night Out is hands-down our favorite night of the month. It’s hard to find professional development opportunities that don’t break the bank. Back in the day, many school districts would reimburse teachers for these types of workshops, but those days are long gone. That’s why we think it’s so important to offer these workshops at low-cost, to educators that are probably paying out of their own pockets. Each workshop is only $10, but free if you become an ENC member. And we think that being out in nature with nice people as the sun sets is priceless. The next Teacher’s Night Out is on November 8th and the theme is water. Justin Finch from Mesa Water District and Cindy Berglund from Rain Barrels Intl. will share valuable information and ideas for conveying the scarcity of water and how we can conserve it. You can learn more and sign up HERE.